This patriotic neck cooler is unique. 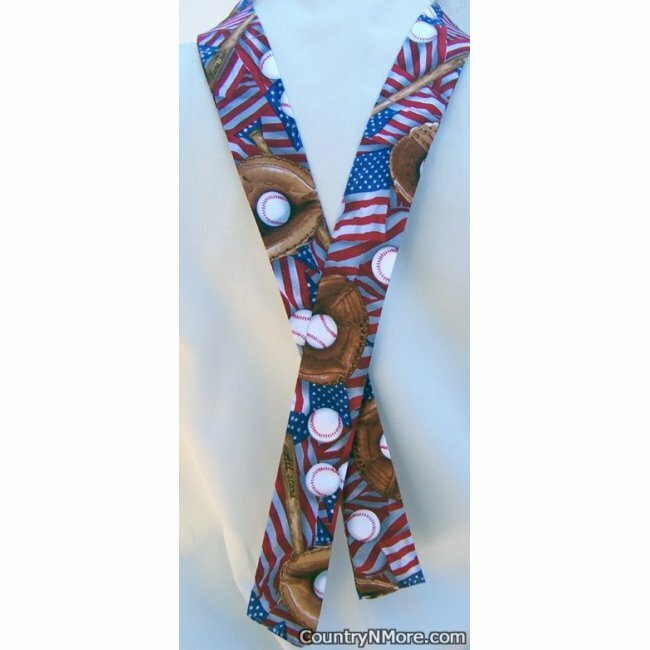 It is perfect to show patriotism while showing one of the all time favorite sports-baseball. The neck cooler features the American flag, baseballs, and baseball gloves. Great for fund-raisers, softball or baseball players.